#RIES is the international reference forum at regional and national level to address the challenges and opportunities of the health ecosystem. 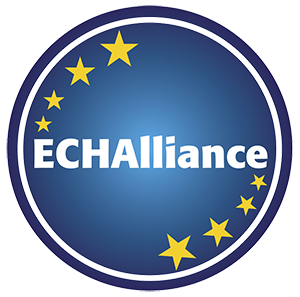 Led by the CSG (Cluster Saúde de Galicia) it is created as a meeting point between the main agents of the health and social care sector of the public and private sector at European level in collaboration with the ECHAlliance health ecosystem network. On November 25th, 2016, the first Forum RIES ‘International Challenges of the Health Ecosystem. Local Solutions’ was born. Forum RIES16, was an example of the initiatives to boost business in international environments promoted by CSG in collaboration with the ECHAlliance and opened to all the Galician Health Ecosystem. This forum main objectives are to show the innovative projects of the health sector of Galicia both nationally and internationally, to establish strategic alliances as well as to give visibility to the CSG and its associates. Each year a main theme is determined as well as a representative place in Galicia, enhancing the visibility of the companies in the region.